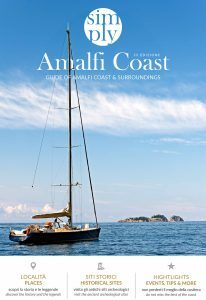 To reach Amalfi Coast, the starting points to consider are Rome, Naples and Sorrento. Below you will find a map that show you how to reach this fascinating stretch of coast using public transport. Many of companies that provide this service undergo hourly variations throughout the year, intensifying the number of trips during summer. The possibility of booking a private transfer is also to be considered, with departure and destination dictated by personal travel needs; certainly the easiest and most convenient way to get to the Amalfi coast, especially for those traveling with lots of luggage. Arrived at Fiumicino Airport, Shuttle Bus (55 min, € 5) and Leonardo Express railway line (32 min, € 14 ) take you to Roma Termini station. From Fiumicino it is also possible to take the Fiumicino Express Bus, which also passes at the Ciampino airport and reaches the Naples station in about three hours (with costs starting from 20 euros) (www.fiumicinoexpress.com). interegional, which stop at each station along the way. It takes 4 hours to reach Garibaldi for around € 10. If you arrive at Ciampino Airport, a Shuttle Bus will take you to Termini station, allowing you to continue with the options above. Also from Ciampino, another Shuttle line will take you to Tiburtina, from where there are a few daily routes of Marozzi Bus line. From Ciampino there is also the possibility to take the bus “Fiumicino Express” (www.fiumicinoexpress.com). Marozzi Bus cover the Tiburtina-Sorrento route all year, taking about 4 hours at a cost of € 20. In the summer (from June to September), another line leads directly to Amalfi, the heart of the coast (www.marozzivt.it). From Capodichino, Alibus line reaches the Central Station at Piazza Garibaldi or Beverello port (www.anm.it). Alternatively, from airport there are some daily Curreri bus routes that take you to Sorrento in about 90 minutes, at a cost of € 10 (www.curreriviaggi.it). From Beverello it is possible to get on a hydrofoil that leads to Sorrento Port (about 50 minutes, € 22) from it you can continue by sea or reach circumvesuviana and bus station. continue by train to Salerno Station and from there reach the Amalfi Coast. Arrived at Sorrento station, there are numerous daily routes of Sita bus that allow you to reach some destinations of the Amalfi Coast: Positano, Praiano and Conca dei Marini, until last stop to Amalfi. The bus takes about 2 hours to reach Amalfi and the cost of the ticket varies depending on the route traveled (www.sitasudtrasporti.it). From Sorrento port there are several ferries lead to Positano, Amalfi and Salerno. Arriving at the station or airport the best way to reach the Amalfi coast is by private transfer. Alternatively, you can take advantage of public transport.